Halloween is a fun time of the year for children, with the opportunity to dress up and indulge in all of their favorite sweet treats. For parents, it is important to realize the potential dangers that lurk over the holiday and to take the steps necessary to keep young trick or treaters safe. Pedestrian accidents are a serious concern, as are slips, trips, and falls. The following are tips we have gathered from safety experts in the field designed to help protect your child while avoiding injuries. Slow down and drive at least five miles per hour under the speed limit in residential neighborhoods. Stay alert for children on sidewalks and in yards, who may suddenly dart into the street. Be particularly careful at intersections and driveways. Keep your headlights on so your vehicle will be easier to see. Make sure an adult chaperones any children under the age of 12. Advise older children to go out in groups. Plan where your child will go in advance, and let them know any areas that are off limits. 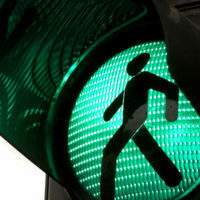 Review basic traffic safety rules, such as using crosswalks and looking right, then left, then right again before crossing the street. Make sure costumes are bright, and use reflective tape to increase your child’s visibility. Keep an eye on footwear, and choose comfortable shoes for walking. Make sure any costumes and accessories are marked as flame retardant. Opt for non-allergenic makeup, rather than a mask. Use caution with wigs, as they can slip and obstruct their view. Avoid props such as fake knives or swords, which can result in injuries. Accidents and injuries can happen despite taking all the necessary precautions. In the event your child is the victim of a pedestrian accident or suffers a slip and fall, contact the Law Office of Steven G. Lavely right away. The injuries they suffer can have long term impacts on their health. Request a consultation with a Florida personal injury attorney at our office to help ensure you get the compensation they need to recover.